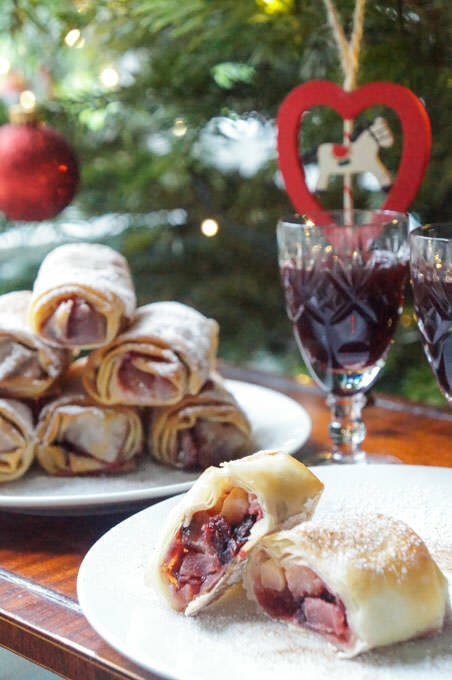 I have a very last minute recipe for you – one that can be made throughout the festive period as long as you have a packet of filo pastry, apples, butter and cranberry mincemeat. 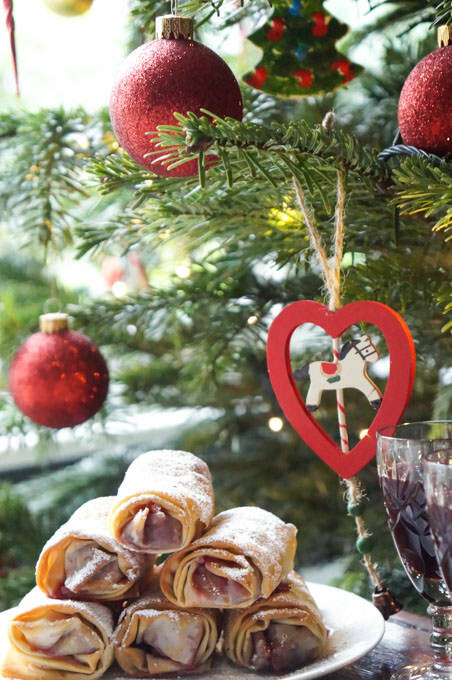 Now, you can make your own as I have done for these Christmas cranberry and apple filo mincemeat pies using Nigella’s recipe. Or you can simply buy a jar or mincemeat and throw in some extra dried cranberries, cranberry sauce and Port. The only small cooking you’ll need to do is to fry off small chunks of apple in butter, cinnamon and sugar for around five minutes until they are softened and the rest of the recipe is simply assembling the mince filo pies. What is great about using filo is how crisp the pastry becomes. The pies still taste of Christmas but with a crisp shell instead of a crumbly crust. The apples lighten up the mix too, so if mincemeat isn’t really your thing then give these pies a try. 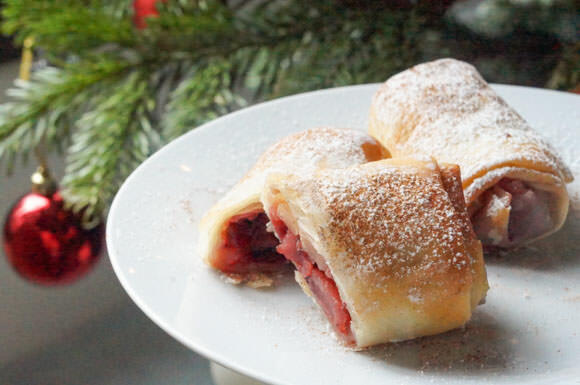 They are almost like a Christmassy mini spiced apple strudel. This will be my last recipe here for 2016, so before we all head into full festive party mode I’d like to wish you all a very MERRY CHRISTMAS ! I look forward to sharing lots more recipes with you in 2017. My aim is to keep being as creative as possible in the kitchen – learning, developing and photographing my progress along the way. 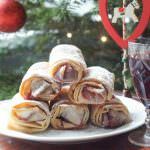 A crisp, light Christmas cranberry and apple mincemeat filo pie. A variation on the traditonal mince pie recipe. These cranberry and apple filo mince pies will keep in an airtight container in the fridge for a few days. Just re-heat in the oven (5 minutes at 200 degrees) to crisp them up and serve with the cream of your choice. Happy Christmas! They are delicious. These look delicious! I hope you had a lovely Christmas. Happy New Year! Thanks Tina and a Happy New Year to you too!